The Saxony duck is dual purpose bird created by Albert Franz of Chemnitz, Germany. 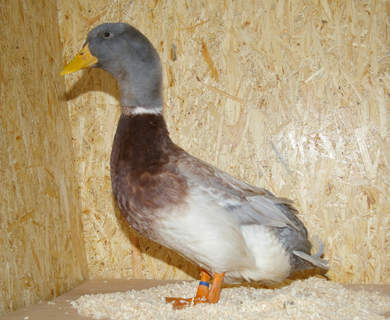 He blended the Rouen, German Peking and Blue Pomeranian and named it after the Saxony Show of 1934, where the duck was first shown. 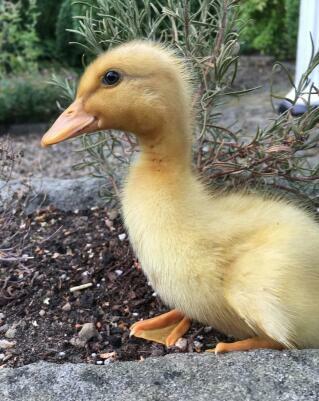 Saxony\'s are not broody and are fairly easy going. The females are quite noisy and it doesn\'t take much to get them started. My husband and I absolutely love our Saxonies. 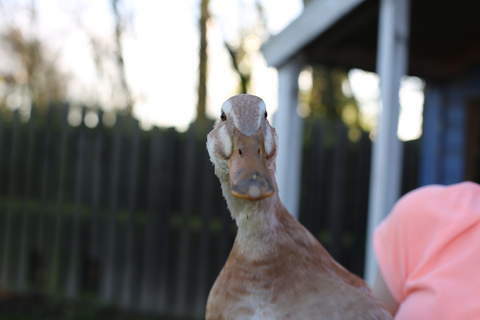 Everyone who visits the farm comments on how beautiful they are. Lovely large eggs. Fastidious about being clean, love their kiddie pool, and love routine. They have been easily trained to go in at night with the chickens. Free range and lay every morning before being let out. My hens did go broody two sharing the duties and hatched a brood summer 2015.....excellent parents. Can't say enough about how much we enjoy them. Cheers. 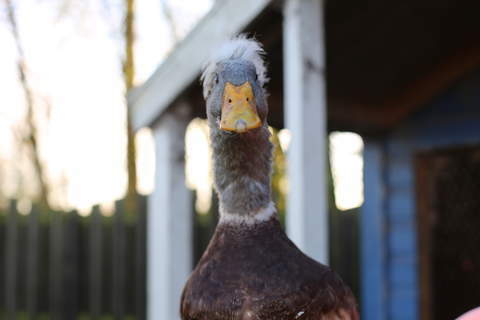 Saxony's are a great garden duck both males and females have very pretty plumage. They lay a lovely big rich egg and are quite curious. I also believe that the comment about them being noisy does not ring true, the only time there make considerable noise is when they are being caught. 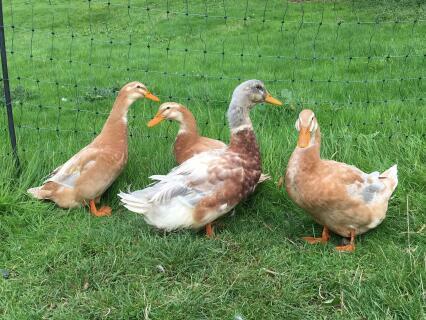 I have had 2 of these great ducks since ducklings last year - I also keep aylesburys and muscovys - I have found these ducks to be easy to keep,great layers and easy to integrate into existing flocks, I am looking forward to perhaps having a saxony \ aylesbury cross this year ( which will make a fantastic table bird ) I would advise anybody to have a go at breeding this bird,the drakes are stunning to look at and they have a great character - 9 out of 10. All round great ducks, beautiful temperament and get on well with any other breed that they have to live with (mine share with call ducks). They do not seem to be great egg layers in terms of productivity but the eggs they do produce are of very high quality. 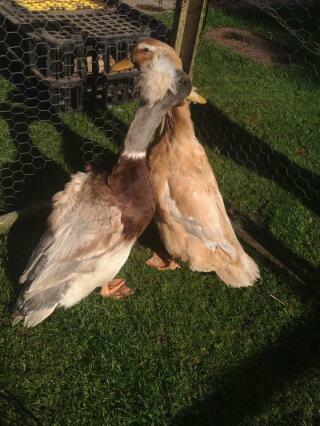 Very friendly ducks that are fairly loud and will make a lot of mess if in a space too small. Very pretty markings but these are rapidly lost during moult until the next years feathers come through. Good egg layers, can expect an egg every 1-2 days in the warmer months.